This is a gorgeous example of Barber’s Amazonian design introduced at HBCC-6096. 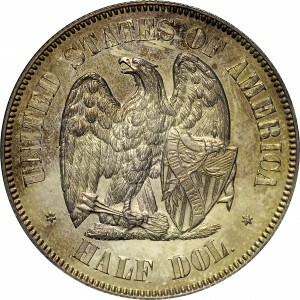 Harry Bass acquired this example from New Netherlands Coin Company’s 61 st sale, held in June 1970. The cataloguer for that sale described this design as “amazingly handsome.” They also claimed that just four examples were struck; however, there are probably about ten known today. This coin has a pedigree extending back to William H. Woodin, who once owned both known 1877 half union patterns struck in gold. Both are now part of the Smithsonian Institution holdings. An example of the half union, in copper, is displayed at HBCC-6137. 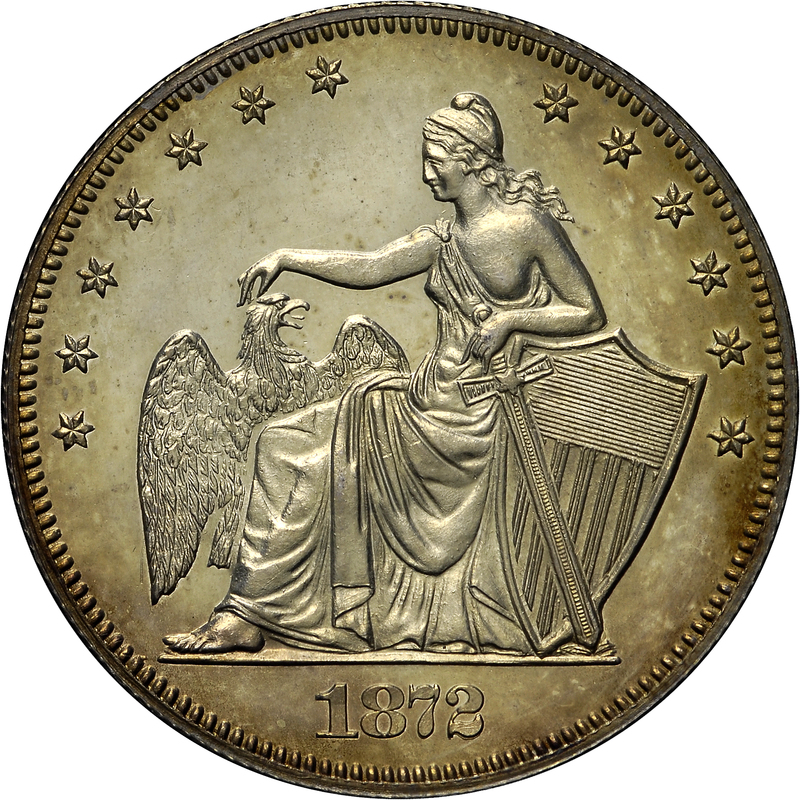 From William H. Woodin; Numismatic Gallery's 19th sale, December 1942, Lot 644; New Netherlands 61st Sale, June 1970, Lot 44. 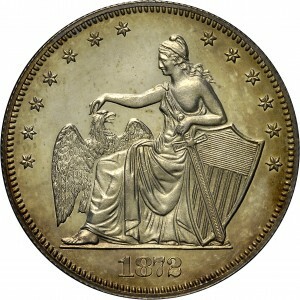 Liberty, in flowing gown, seated to left, left arm leans on shield, left hand holds sword, right hand rests on head of eagle, wings spread, 13 stars around, date below. Eagle with spread wings standing at center, left talons on shield, olive sprig in talons, ribbon on shield reads IN GOD WE TRUST, three arrows in right talons, UNITED STATES OF AMERICA around, HALF DOL. below.